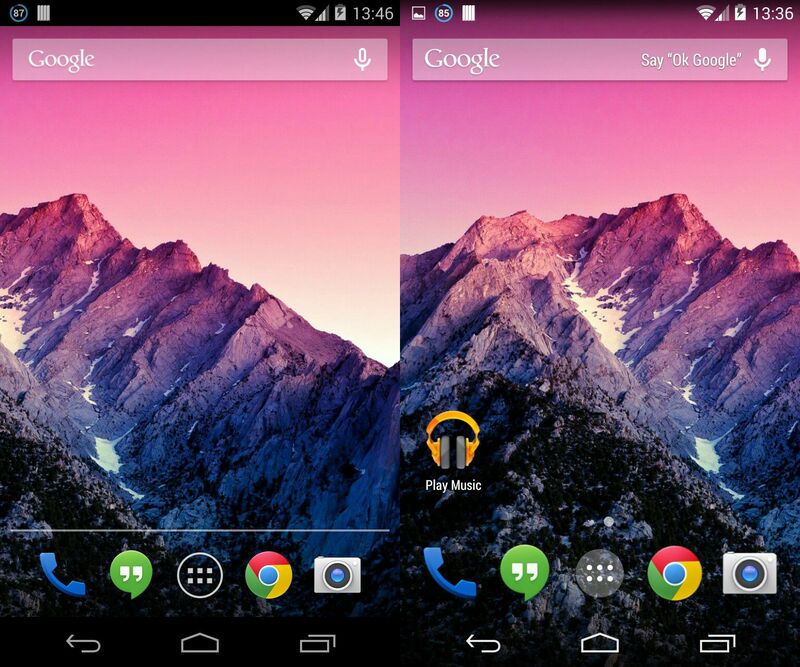 As previously announced, Google did not included their new Google Experience Launcher (GEL), that was introduced for the Nexus 5, in the just released factory images, such as for the Nexus 4. And furthermore, The Verge was told by Google that it first "wants to see how users take to the Launcher on the Nexus 5 before it offers it on other devices". So we won't see GEL any time soon - any way (either via OTAs or Google Play). However, I think, basically they did not just cut off a random Launcher App but rather cut off most of KitKat's "sweetness". Fortunatly, because the new Launcher App is actually just a stub and all the functionality is now tied into the Google Search App, the Search App version that shipped in KitKat also makes GEL available for all devices running Android 4.1+. So, if you run KitKat, all the functionality is actually already there and you just need to install the correct interface (i.e. 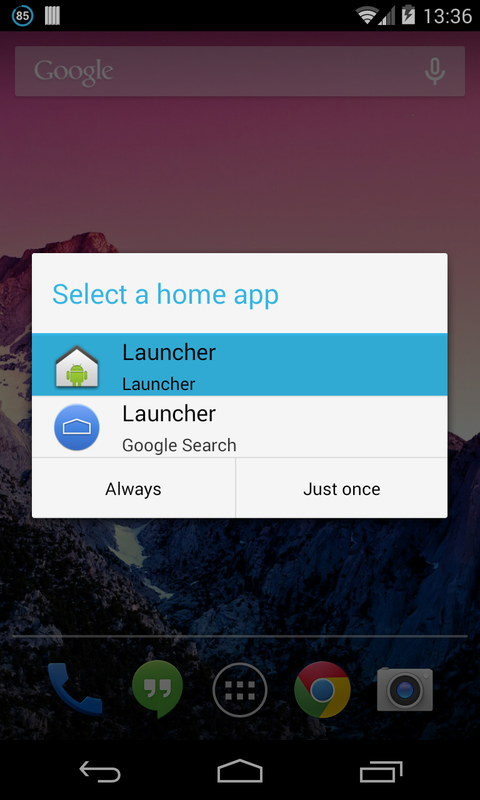 Launcher App). 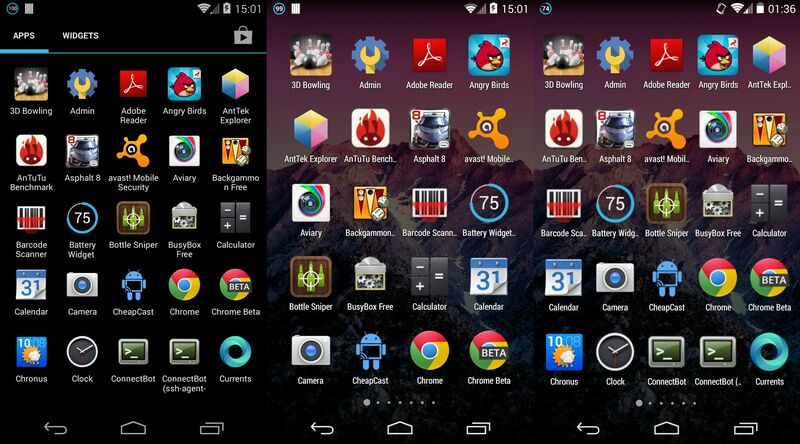 And even better, you don't even need to run KitKat for GEL. 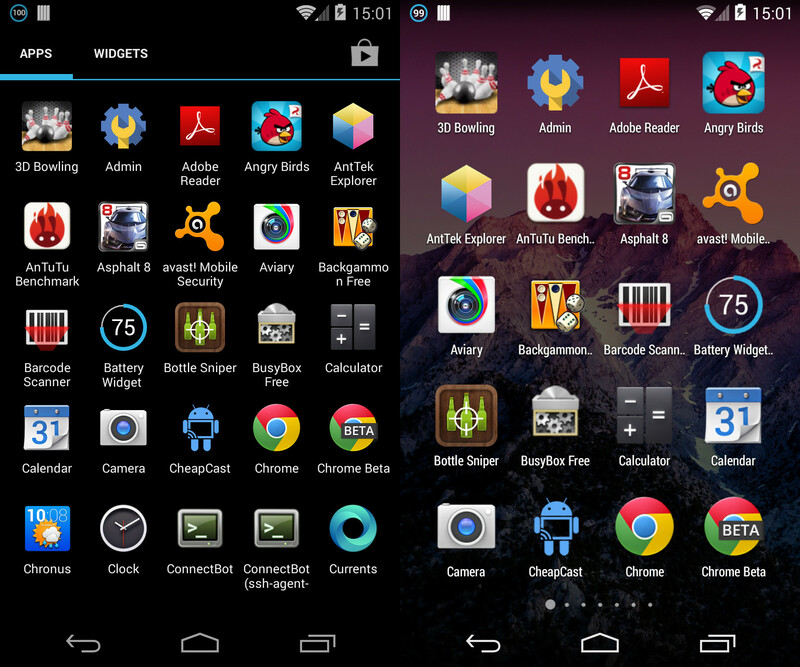 It can be installed on any device running Android 4.1+ (by installing/updating the Google Search App). All APKs are signed by Google, are safe to install and were not tampered with in any way. NOTE: Version 3.1.8 is not yet released to most users via Google Play! Double-check you don't have an earlier version installed. If so, use the direct download link. NOTE: If not already done, you first need to enable "Unknown Sources" in Settings > Security (in order to be able to install apps from sources other than Google Play). 1.) Download the Google Search App from the direct link above and install it (if not already installed or an earlier version than 3.1.8.*). 2.) 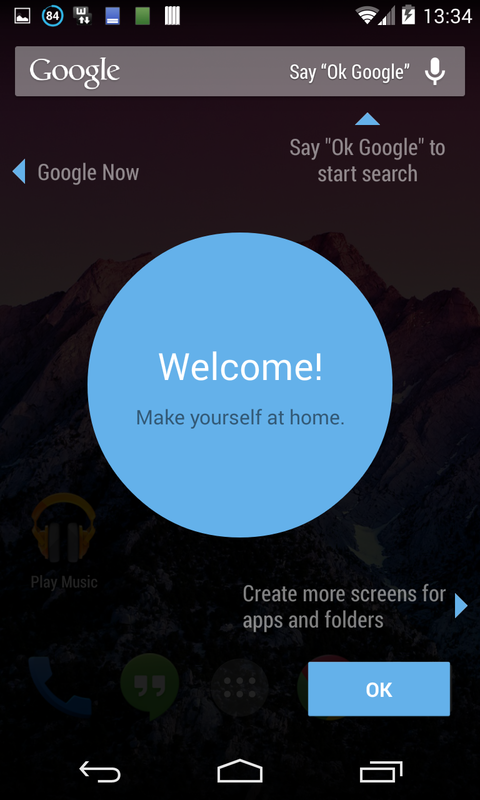 Download the Google Experience Launcher App from the direct link above and install it. That's already it - done. Just click the home icon and select the Launcher with the blue icon (and subtitled "Google Search") from the selection popup (see screenshot below). You can now enjoy the new Google Experience - including translucent framework decor, new App Drawer and all that other "sweetness". Thanks for this. I'm on a Verizon note 2 Android 4.1.2 and really like this launcher. Thanks for the links too. Link for the launcher is broken. Google is playing hard to avoid us getting this launcher. Odd, all links still work for me. Updated OP with mirror links anyway. Just let me know when they're down (can't attach here due to file size). can we change setting for app drawer? i wanna use 5x5 app drawer. After testing what I said before, I can confirm that changing the pixel density will result in the 5x5 view. But the best value seems to be 316 - not, as previously said, 300! As you can see from the screenshots above, the icon size is not affected by the density setting change. Can anyone post a screenshot from homescreen with art on 316dpi? ?The icons are still huge?? @Bexton Installed the app, running the launcher , but i cant get the search working from "OK Google" hotword,, nor in the launcher neither in the Google Now App ,When I say OK google nothing happens, in the launcher and also in the Google now app ..Any idea why ? ?